Dolly shot of woman with fruit in foreground holding glass of orange juice. 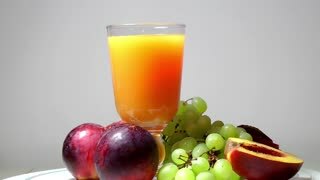 Dolly shot of woman with fruit in foreground drinking glass of orange juice. 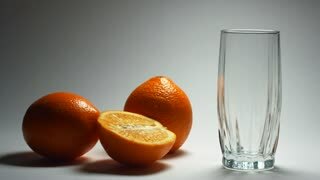 Orange drink. 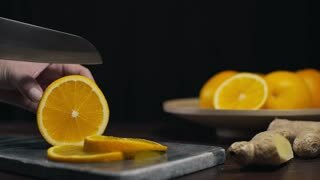 Orange juice is poured on a white background. Fruit still life. 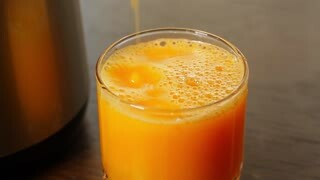 Fresh orange juice.